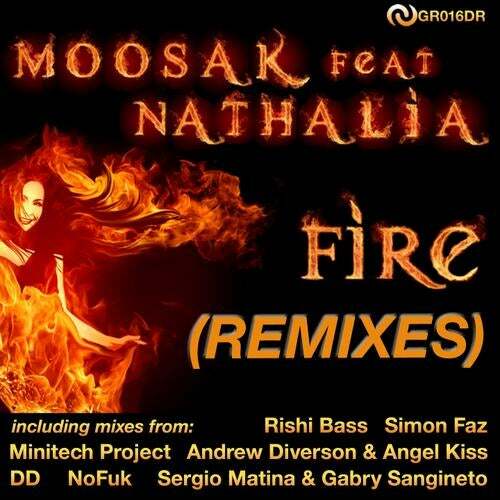 'Fire (Remixes)' brings an eclectic range of mixes of this awesome track to your ears. Package 2 kicks off with an electro house remix from Italian duo Sergio Matina & Gabry Sangineto, followed by a progressive mix courtesy of Andrew Diverson & Angel Kiss. If you're in to the new crazy Dirty Dutch House skip to the Rishi Bass' remix and if the underground sounds are more your thing fast forward to Minitech Project's minimal remix or NoFuk's tech-house mix. The package is rounded off nicely with two slightly deeper vibes courtesy of Simon Faz and DD. Now supported by the likes of Thomas Gold, Kid Massive, Jim Shift Ryan (Miss Moneypenny's) and many more!